Welcome 2014! I could not be more excited to welcome a new year. Although setting goals as a New Year roles in may sound and feel a little "cliché", I think any opportunity to sharpen our daily habits (food, exercise, stress management or other) is a good thing. If you are feeling like you want change in an area of your life – that is a good thing. Why? Because as my yogi once said, "Dissatisfaction is truly the first step to progress". 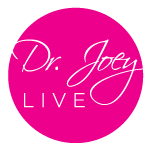 With that said, the 2014 Dr. Joey newsletters will be focused on providing all of our readers the latest natural products, articles, video clips and motivational stories on health and weight loss. My goal is to inspire YOU to look, feel and be your very best self. From methods to meditate and easy to prepare recipes to the best hair care products on the market and my proven steps for weight loss – my team and I will be featuring the hottest natural health care news and beauty products. I would like to take this opportunity to thank all of you for your support, wonderful comments and for being my inspiration. It is with deep gratitude that you let my team and I be a little part of your life every month. Wishing you and your loved ones the best in 2014. Are you looking to lose a little weight in 2014? 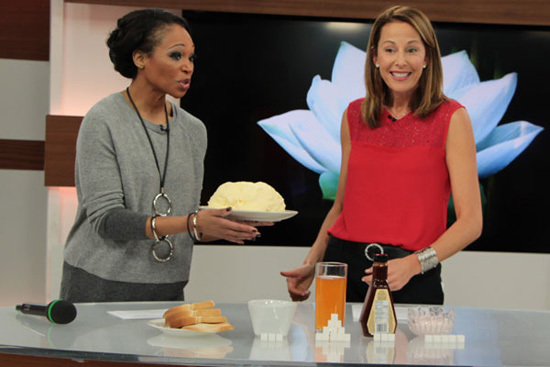 If so – you must join us on the Cityline weight loss challenge. Our 4 winners are already achieving enormous success! All you have to do is click here to get your FREE start up weight loss guide to begin. are now available to you at $16.99! All you have to do to order is click here or visit one of your local retailers. To find a store near you, click here. Loaded with 4 grams of inulin fiber, these tasty low calorie chews are designed for appetite control and satisfying cravings at 3pm or after dinner. DO YOU WANT TO SEE ME LIVE? If so, join me and learn the secrets of weight loss. My next stop is London on January 30th and Richmond Hill on March 8th! Tasty bites – Walking the floor of the largest Canadian health food show, I bumped into Tasty bites and was instantly impressed. These ready to eat, all natural Indian food packs are delicious, nutritious and best of all... ready in 1 minute! 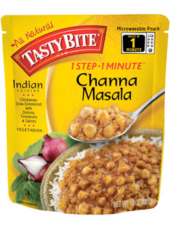 On nights were you do not have the time to make dinner for yourself or your family, you literally heat a tasty bite package and pour over greens or brown rice. Channa Masala is one of my favouites – made with slow cooked chickpeas that are simmered with onions, tomatoes and spices. I highly recommend this dish over a bed of arugula. 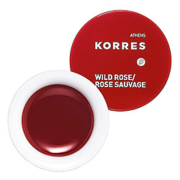 Korres Wild Rose Lip Butter – For a great winter colour and moisturizing lip butter, try Korres Wild Rose Lip Butter. Made with natural oils and extracts, shea butter and rice wax – this product is designed to hydrate, moisturize and soothe! Best of all – all Korres lip butters are completely free of parabens, sulfates, synthetic fragrances, and GMOs. Angie's Boom Chicka Pop Seat Salt Popcorn – These mini popcorn bags offer a great snack for watching movies at home or packing in your kids lunch. Boom chicka pop has only 3 simple ingredients – popcorn, sunflower oil, and sea salt, and contains 35 calories per cup – a total of 90 calories per bag. I give this snack food a big thumbs up! 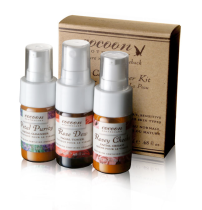 Cocoon Apothecary Starter Pack – I admit it – I am a skin care junkie. But... when recommending a skin care line, it is important to me for them to be petroleum free, made with organic ingredients and natural. 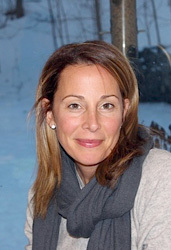 Cocoon Apothecary fits this bill and is one the skin care line that truly deserves mention. A great option is to try their starter pack which contains a Petal Purity Facial Cleanser, a Rose Dew Facial Toner and a Rosey Cheeks Facial Cream. Cuppow – Looking to eat on the go and be healthy? If so – Cuppow is the perfect product for you. Cuppow is a wide mouth cup that sits inside the top of a mason jar and Is designed to hold anything from dip for crackers, hummus for vegetables or dressings for salads. All Cuppow holders are BPA free and dishwasher safe. Squash is chalk full of all the nutrients that our bodies lack and crave during these cold Canadian months. Loaded with Vitamin A, vitamin C, fiber and antioxidants – this lower glycemic index vegetable can be used in soups, stews or mashed for a side dish. Squash also provides a significant amount of potassium which is essential for bone health and vitamin B6 which helps with nervous system and immune system function. 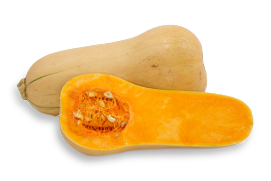 Squash also has high level of beta-carotene (which the body coverts to vitamin A) which can help to have an anti-inflammatory effect. Cut squash lengthways. Scoop out seeds and place in deep baking dish. Place 2" of water in the bottom of the dish, cover with foil and place in preheated oven at 425 degrees. Bake for 1 hour 15 minutes. In the cold winter months, starting your day with high anti-oxidant greens is the best way to boost your immune system and keep energy up. Add carrots, and celery. Cook for about 3 minutes more. 10 minutes before serving stir in the kale and zucchini. Cook for 5 minutes. Add in lemon juice and season with salt and pepper. Arrange the banana slices in a single layer on the bottom of a ceramic dish. Sprinkle half of the blueberries over the bananas. Add 1/4 tsp of the cinnamon, 1 tbsp of the honey and cover with foil. Bake 15 minutes, until the bananas get soft. In a medium bowl, combine the oats, half of nuts, baking powder, remaining cinnamon, and salt; stir together. Sprinkle the remaining blueberries and walnuts over the top. For protein – add 2 scoops of protein powder or 3 Tbsp Hemp Hearts. This recipe is also good with scrambled eggs on the weekend! Preheat over to 400 F. Lay the peppers and tomatoes on baking sheet and brush the tomatoes with 1 tsp of olive oil. In a large pot, sauté the onions in the remainder of the olive oil for 5 minutes. Add the garlic, tomato paste, salt, dry basil and bay leaf. Stir and cook for 1 minute. Add the roasted peppers and their juice, roasted tomatoes and vegetable broth. Roughly crush the tomatoes. Bring to a simmer and cook for 15 minutes. Before serving, garnish each serving with some goat's cheese and fresh basil leaves. Despite our best intentions, many of us find ourselves routinely overeating at meals, snacking mindlessly, or bingeing regularly. As emotional eaters, we turn to food for comfort, soothing, distraction, and excitement. Therapist and life coach Julie Simon addresses the true causes of overeating and weight gain: emotional and spiritual hunger and body imbalance. 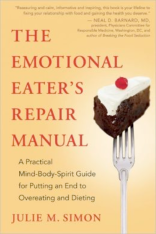 'The Emotional Eater's Repair Manual' presents five self-care skills, five body-balancing principles, and five soul-care practices that can end overeating and dieting forever. You'll learn to nurture yourself without turning to food, to correct body and brain imbalances that trigger overeating, and to address your soul's hunger. 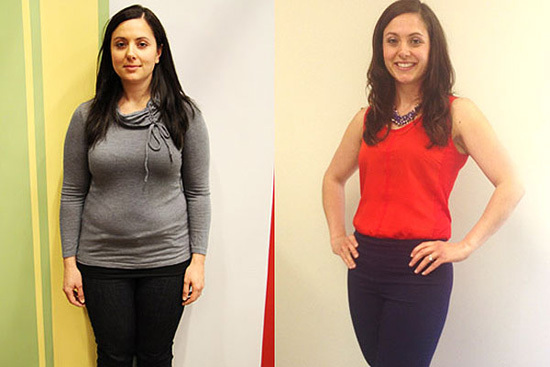 Weight loss, more energy, improved health, and self-esteem will naturally follow. 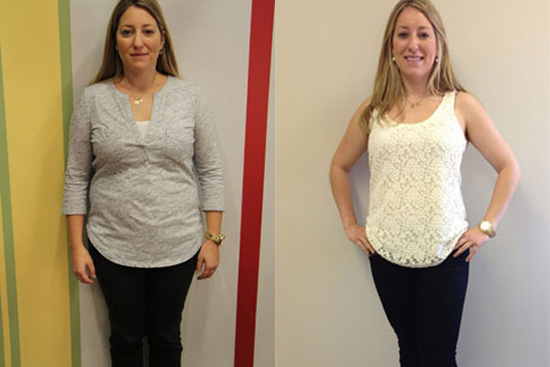 Congratulations to all the success we have had at our Shulman Weight Loss clinics. To get results like these, simply e-mail one of our 3 locations and book in for your free weight loss assessment today!